Some of the Thai ladies that are now living in the UK have Thai children from a previous relationship and the Thai child remains living in Thailand. It is very common that when a Thai mother has received a settlement visa and now lives with her new British Husband in the UK that she would like for her child or children to come to the UK to live with her. 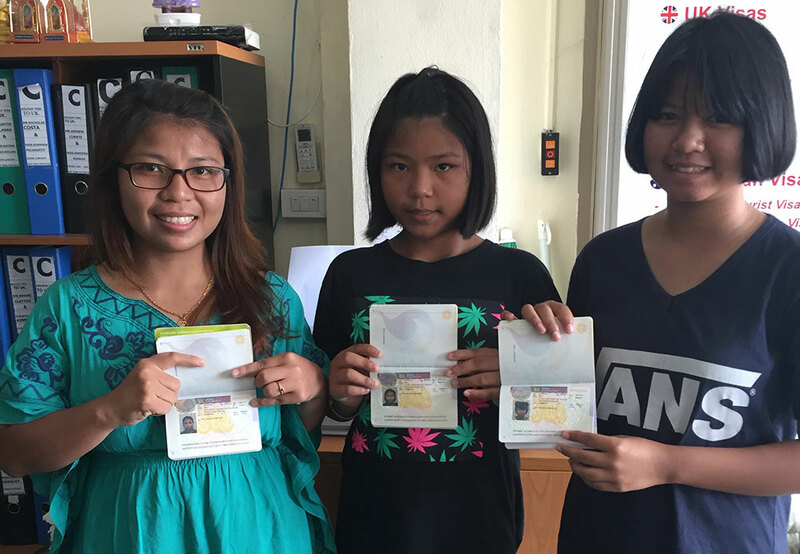 Eventually the Thai mother will make enquiries with regards to obtaining a settlement visa for their son/daughter to move to the UK and live with you as a family. Like any mother she will be worrying about her children’s welfare, future and missing them immensely. Your Thai wife will have to ensure that everything is prepared for their Thai child before applying for a visa. Before making the application for the child at the British embassy, you have to find out who has legal custody of the children, be it the mother or the father. The British embassy take the custody issue very serious. A visa will not be issued without legal confirmation of who is the guardian of the child. The first step with an application for a Thai child is to ascertain who is the legal guardian. With the language barrier it can be difficult to explain the details to your Thai wife and make them understand the legalities of the situation. If your Thai wife was not legally married to her previous Thai husband/boyfriend when the baby was born and the baby has your wife’s previous maiden name then you can apply for a settlement visa confidently knowing that your Thai wife is the sole custodian of her child. In this case it is always better for your Thai wife to go to her local Amphur “Town Hall” in the village where she is from and they will give her a confirmation letter stating that she takes care of the child alone with no input from the father. If your Thai wife was legally married and she was widowed and you have a copy of her previous husbands death certificate then your Thai wife has automatic custody of the Thai child in question. When you are applying for a UK settlement visa for a Thai child you have to remember that when the British Embassy officer is looking at the visa application they will always have in the back of their mind that your Thai wife did leave her child behind when she came to reside with you in the UK so for the Thai child to be issued with a settlement visa you have to show firm and genuine reasons why the Thai child would have a better life in the UK and why when the Thai child has lived in Thailand without the mother for a period of time normally with a family member are you applying for a visa now.